Meraglim™ CEO Kevin Massengill on the Chinese central bank trilemma and our view of the risk of a major devaluation of the Yuan. Meraglim CEO Kevin Massengill on the Chinese central bank trilemma and our view of the risk of a major devaluation of the Yuan. 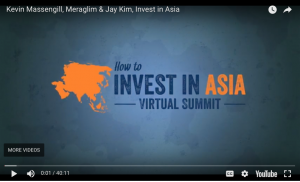 Watch Using Technology to Predict the Next Major Crash presented as part of the How to Invest in Asia Virtual Summit hosted by Jay Kim.